Want something quick, easy and tasty? 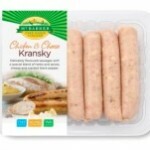 Take a look at our pre-prepared chicken. A sweet, mild Chinese BBQ flavour, serve with hot Hoisin sauce or natural yoghurt. Farmhouse style schnitzels made with breadcrumbs, herbs and parmesan cheese. 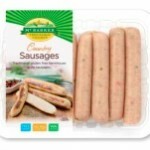 Traditional gluten free farmhouse style chicken sausages. A family favourite, flavoured with a blend of herbs and spices, cheese and cracked pepper. Succulent chicken breast with a spicy Portuguese inspired Peri Peri flavour. Definitely for those that like it spicy. Perfectly delicious for parties or perfect as part of a delicious meal. Authentic Indonesian style, perfect for parties or as part of a delicious meal. A mild smoky BBQ flavour best served with fresh natural yoghurt. A mild BBQ flavour, best served with a sauce or fresh natural yoghurt. Delicious leg fillets coated in a sticky Japanese style Yakitori marinade. Cook up a feast with our delicious, fresh free-range chicken.